Community and Public Health is committed to ensuring positive Māori health outcomes and reducing inequalities. We have a number of projects that specifically address Māori health needs throughout Canterbury, South Canterbury and the West Coast. Community and Public Health embraces a model of best practice (Te Pae Mahutonga) that promotes and brings together the value of traditional and contemporary viewpoints on Māori wellness and current research to enhance its service delivery. Our role is working with Māori to assist and to strengthen whānau, hapū and iwi – in addition to liaising with non-Māori. Find out more about the Te Pae Mahutonga model used to represent the factors that influence our health and wellbeing. 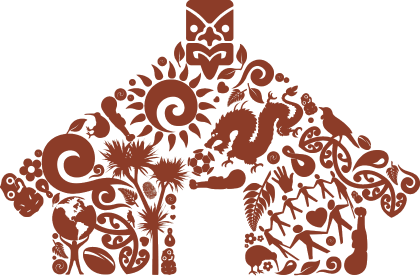 Community and Public Health works in Māori settings such as Marae, Kura and Kohanga Reo, to develop Māori communities. This so that they are able to make their own healthy choices, and create their own healthy environments. Community and Public Health have a valuable role in contributing at a population level to ‘living healthy lifestyles’, ‘participating fully in society’ and ‘confidently participating in te ao Māori’. The current CDHB Māori Health Action Plan (2017-18) also outlines the key activities that Community and Public Health will contribute to as part of the Canterbury health system to improve Māori Health outcomes. He Tohu Ora was launched at the end of 2018 as part of the updated Canterbury Wellbeing Index. It was developed by Community and Public Health and the Canterbury DHB – in consultation with Te Rūnanga o Ngāi Tahu and Te Pūtahitanga o Te Waipounamu. He Tohu Ora presents 19 Māori-focused wellbeing indicators, that are informed by a Māori worldview and aligned to the Whānau Ora framework. Whānau, community leaders and policy makers are encouraged to explore the data and use it to put the wellbeing of Māori at the front and centre of decision making. Read He Tohu Ora on the Canterbury Wellbeing Index website. Tāne Ora/ Māori Men’s Health Indicator tool. Nau mai haere mai. This pānui aims to share kōrero on the mahi happening within Community and Public Health and our Māori communities. Welcome to the last edition of Te Mana Ora for 2018. It has been a big year for a lot of people and we’re all anticipating a beautiful warm summer filled with whānau, fun and laughter. The summer months from December to February are known to Māori as raumati with Tāwhirimātea the atua of wind and storms controlling our weather. It’s always a good time to ensure we are thinking about how to stay safe in the sun and that our tamariki have sunhats and sunblock. As we head towards the festive season we are grateful to everyone within our hāpori that has shared their time and energy with us. Although there is so much work left to be done we love the passion and drive in Ōtautahi to create a healthier city for all Cantabrians and the generations to come. View the latest issue of Te Mana Ora. Hikitia te Hā is a simple breathing exercise developed by Rawiri Hindle and supported by the All Right? campaign. Three new Hikitia te Hā videos have been developed after the success of the first one. The exercises are extended into tai chi, taiaha and yoga. Read more about the Maori wellness leaders featured in the new Hikitia te Hā videos (Te Panui Rūnaka article). All Right? has created season-based activities that whānau can do together. Vaea Coe (Ngāi Tahu, Te Whānau-ā-Apanui, Ngāti Porou) from the All Right? team says “When it comes to the wellbeing of our community, it all comes back to whānau. The activities are all about looking to strengthen the everyday magic that happens within the whānau”.